The BBA program is aimed at developing a student’s intellectual ability, leadership qualities and managerial skills required to manage business functions successfully. Students are educated with the fundamentals of business management and leadership that will enable them to manage key business functions, and be prepared for executive positions as well as the ability to build their own businesses. Structural insights into the theoretical and practical dimensions of business management. Management subjects included in the curriculum to prepare students to be future leaders and managers. Enhancing communications skills throughout the duration of program through language labs and in-class discussions and presentations. Real World Experience: Industrial Training of 12 weeks in the 6th Semester in various corporates and business entities. Is a business degree good enough? Business degrees are very popular these days, which has seen a rise in the number of colleges that are providing the same degree everywhere. However, this trend is understandable because as the Indian economy grows, it does so on the backbone of business and enterprise. Studying a bachelors in business program provides students with the right tools to build, manage or work in a business. What matters is the quality of the degree and where you do it from. Why is a BBA from IIAS better than anywhere else? Well, its simple really. IIAS is one of the premier management institute in India which is evident from its network of campuses around the country. Also being a 2 decades old institution, we have long standing ties with some of the top corporations in the country. 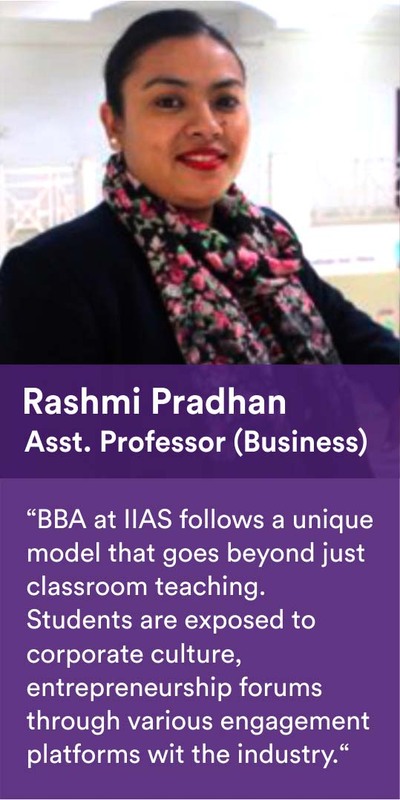 Finally the culture at IIAS is built in such a way that you do not just get a business degree, its more about the holistic development of a student. 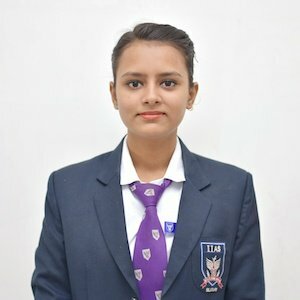 Also it is worthy of mention that the IIAS BBA program features our unique Work-Learn Program where students get actual hands-on work experience of almost an year even before they graduate which means our students are far ahead of their peers when they enter the professional field. 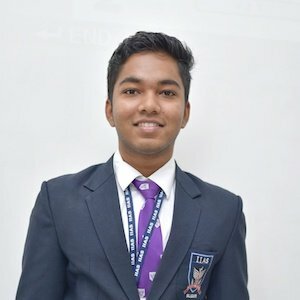 Can I do an MBA right after completing my BBA? Well, this is a yes and no answer, because entrance into the MBA depends on the college. Some MBA programs often look for candidates who have acquired a few years of work experience. That said, a BBA program allows students to start their careers in executive positions from where they can choose to further their career as they want. What kinds of jobs will I get after completing my BBA? Students who complete our Bachelors program typically find jobs in various entry level positions in corporates and MNCs. The insurance, banking and other service sectors have seen good prospects while marketing and healthcare also have a lot of takers. Students often choose to join their family businesses or start their own ventures straight after graduation.